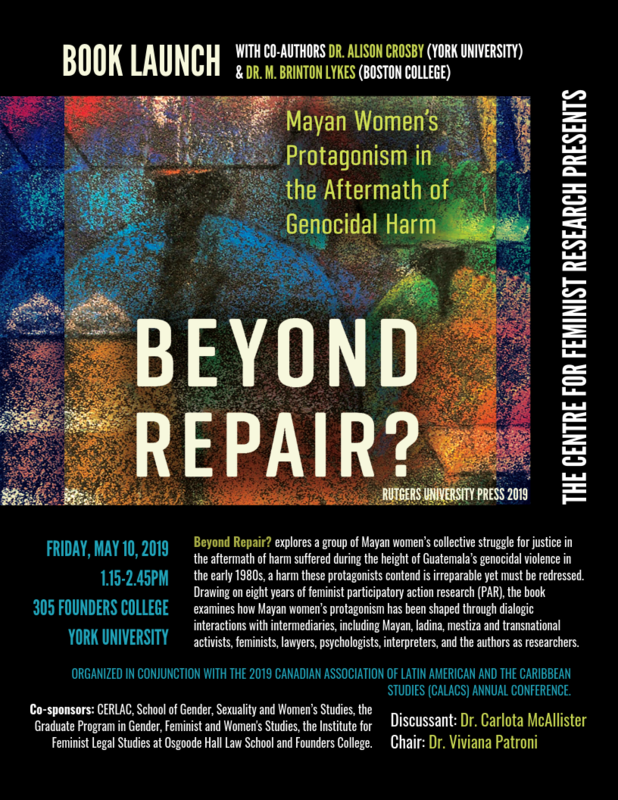 This project uses a transnational feminist lens to examine when and how survivor-led initiatives to memorialize loss in Guatemala and Sri Lanka create new articulations of agency, voice and community within and across national borders. Guatemala and Sri Lanka have each endured decades of armed conflict that have had and will continue to have devastating effects on generations. How these wars are remembered and memorialized—through such devices as memorials, monuments, tombstones, archives, photographs, murals and art installations—are sites of constant contestation and anxiety. Memorialization practices are embedded in postwar relationships between and among individuals, communities and the state that are fraught and fractured, and laced with grief and anger about the lived experiences of violence and loss, victory and defeat. They also present an opportunity for survivors to (re)inhabit loss, to mobilize grief to create a new form of political community. Memorialization practices have transnational dimensions; the traveling of gendered racialized memorializing tropes, signs, claims, and power relations across borders informs and shapes how and by whom the experience of violence is represented and redressed. The project explores the place-making potential of memorialization initiatives by survivors in Guatemala and Sri Lanka and the organizations who accompany them, including the search for disappeared loved ones, and the struggle for redress for racialized gendered violence, including sexual violence. We also examine how the Sri Lankan and Guatemalan states and militaries have memorialized their wars. The project is a collaborative undertaking between researchers with expertise in Guatemala and Sri Lanka respectively, and builds on our previous long-term research with survivors in their struggles for acknowledgement and redress. We employ a transnational feminist methodology that takes into consideration structural inequities of power that travel across borders as a result of histories of colonization and imperialism and current practices of neoliberal globalization, with a particular focus on how the international human rights regime has funded and shaped memorialization practices. We use a mixed methods approach to data collection, including site visits, ethnographic observation, case studies, in-depth interviews, group discussions, and discourse analysis. Through a range of proposed outputs, this research will contribute to interdisciplinary knowledge creation about the many impacts and variations of loss in the aftermath of political violence, and the possibilities for agency resulting from efforts to memorialize this loss. It will also strengthen and further develop transnational feminist research methods, and includes the participation of emerging scholars.